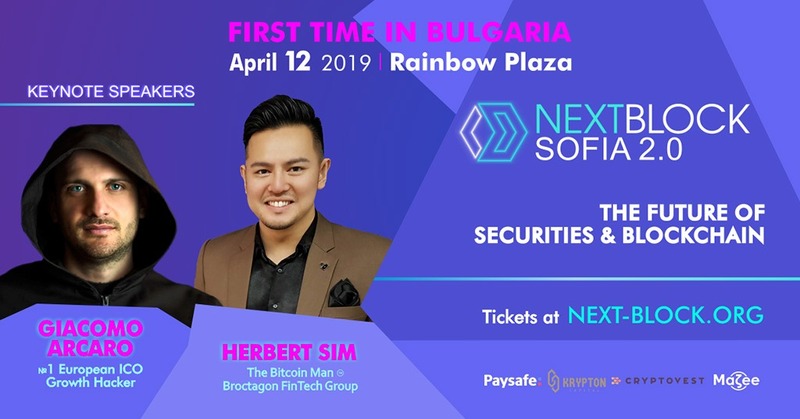 As a strong crypto-believer, Sofia, Bulgaria will host another NEXT BLOCK SOFIA 2.0. That will concentrate on “The Future of Securities and Blockchain Technology” on April 12, 2019. Bringing together over 350 participants and 20+ distinguished speakers, investors & startups, the Conference will hear from top blockchain experts looking into the future of revolutionary technology. As a good tradition, the event will be celebrated by a yet another luxurious Blockchain Party by NEXT BLOCK which adds to the chain of the most fabulous crypto-parties by NEXT BLOCK. On top, NEXT BLOCK will host a private investors pre-party a day before the event, where investors will be able to network, discuss, find co-investors, meet best startups – all while enjoying refined drinks and buffet. Giacomo Arcaro, is one of the most important European Growth Hackers featured on the Financial Times, Forbes, Wired and Los Angeles Times. Two Million € exits with the startup CercaClienti.it and SocialAutomation.online. +2,000 satisfied customers, founder of Black Marketing Guru. Herbert R. Sim, is the Head of Business Development at Broctagon FinTech Group. Herbert is the founder of TheBitcoinMan.com and Crypto Chain University. Check next-block.org for more experts and the agenda of the event! Also, check how it was last year to know you have to be with Next Block in 2019!